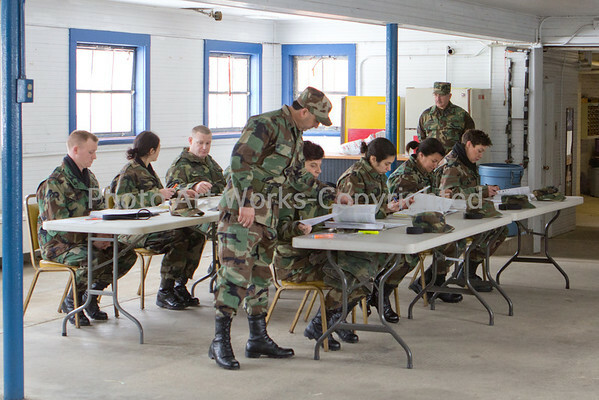 Once a year The 2nd Company Governor's Horse Guard located in Newtown, CT offers a recruit training class. This class from beginning to graduation will encompass 5 months. Although prior military service or horse experience is welcome, it is not a requirement for membership. A thorough training program is provided to educate new members in both areas. This comprehensive training consists of both mounted military drill and dismounted drill. Classes in basic horse knowledge, handling and riding and various military subjects such as military customs and courtesies, the history of the Horse Guard and flag etiquette are provided. Recruits will be expected to complete written tests and perform basic military drill and mounted drill before graduation. Photos 01-43 March 8, 2014 were the first time the recruits started to work with the horses.